INSTITUTE OF BANKING PERSONNEL SELECTION INVITES APPLICATIONS FOR Post Name: – Security Officer in Charge (On Contract) which has No. of vacancy: 01, Post Name: – DGM- LEGAL (On Contract) which has No. of vacancies: 01 and Post Name: – Deputy Head-Administration (On Contract) which has No. of vacancy: 01. Dear Aspirants, We are sharing reference pdf link of more than four thousands and seven hundreds Reasoning and Computer Knowledge / Aptitude / Awareness Objective Questions with Solutions for Bank Examinations. Dear Students, SBI Clerk 2018(Junior Associates (Customer Support & Sales) in Clerical cadre in SBI) Online Preliminary Examination scheduled to be held tentatively in the month of March/April’ 2018 has been deferred and it will now be held tentatively in the month June/July’2018. Dear Students, Online Test for SSC CHSL(10+2) 2017-18 is scheduled to be conducted from 04th March 2018 to 26th March 2018. We are sharing refernce pdf link of more than fifteen hundreds Maths Problems with Solutions for SSC CHSL 2017 Online Examination. Paper-I of Multi Tasking (Non-Technical) Staff Examination, 2016 was held in the months of September and October, 2017 in Computer Based Mode. Marks List of candidates of Multi Tasking (NonTechnical) Staff Examination, 2016 (Paper-I) have been made available on the following link from 27-2-2018 to 26-3-2018. Candidates may check their marks by using their Roll Number/ Registration I D and Registration Password. FROM THE DESK OF CHAIRMAN of SSC(Ashim Khurana): A group of about 500 to 750 candidates of the Combined Graduate Level Examination (Tier-II) 2017 assembled outside the Commission on 27.2.2018 and held a protest rally alleging several issues related to the conduct of the examination. A delegation of three candidates met the undersigned and presented a representation in this regard. The Commission has taken note of the issues raised in the representation and subject to the submission of the requisite supporting documentation, the Commission would have the matter enquired into and take an appropriate considered decision in the matter. Dear Students, we are sharing pdf links of more than One Thousand GS(General Science - Physics + Chemistry + Biology) Objective Questions with Answers for Bank, SSC, UPSC, MPPSC and Other Exams. As we all know, General Science(GS) is the scoring section in these exams. Rajasthan Police Constable Examination is starting from 7th March 2018. Admit Cards will be available by 27th Feb 2018 midnight. Dear Students, we are sharing direct pdf link of more than two thousands and two hundreds Mixed Series Problems with Detailed Solutions for SSC CHSL and SBI Clerk Online Examinations. Dear Readers, We are sharing Bihar Police SI(Sub-Inspector) 2017-18 Prelims Online Examination which is scheduled to be conducted in March 2018. 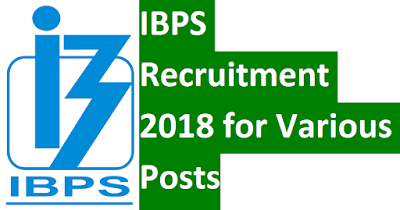 Bihar Public Service Commission(BPSC) has released Interview Letters For candidates appearing on 7th-8th March, 2018 for the post of Assistant Conservator of Forests(Advt. No. 85/2014). Dear Readers, we are sharing reference pdf file of more than one hundred Time, Speed and Distance Questions with Solutions for SSC CHSL 2017 Online Examination which is scheduled to be conducted from 04th March 2018. Bihar Police Sub-Ordinate Service Commission(BPSSC) has released Admit Card of preliminary exam for the post of Police Sub Inspectors in Bihar Police(बिहार पुलिस बल में वर्ष 2017-18 में पुलिस अवर निरीक्षक के रिक्त पदों पर नियुक्ति हेतु प्रारंभिक परीक्षा के प्रवेश-पत्र) today on 26th February 2018, Monday. Dear Students, we are sharing reference pdf link of more than two hundreds English Questions with Solutions for upcoming SBI PO 2018 Online Preliminary and Mains Examinations. Dear Readers, Questions of Ratio and Proportion in Quantitative Aptitude always ask in SSC CHSL(10+2) Examination. We are sharing reference pdf file of more than one hundred Ratio and Proportion Questions with Explanations for SSC CHSL 2017 Online Examination. Dear Students, we are sharing very important reference pdf file of more than two hundreds New Pattern Seating Arrangement Problems with Answers and Explanations for SBI Clerk 2018 Online Examination. Dear Students, We are sharing reference PDF(Portable Document Format) of around one hundred and twenty questions of Mixtures and Alligation(Maths) Problems with Solutions for SSC CHSL 2017 Online Examination. 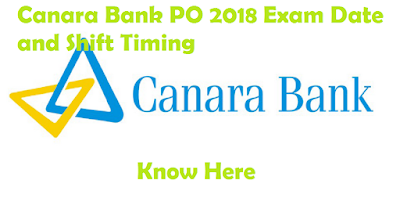 Canara Bank PO 2018 Online Examination is scheduled to be conducted in the third week of this month(December 2018). Its Admit Card has been released, if you have not downloaded yet now then you may go through the link given below. 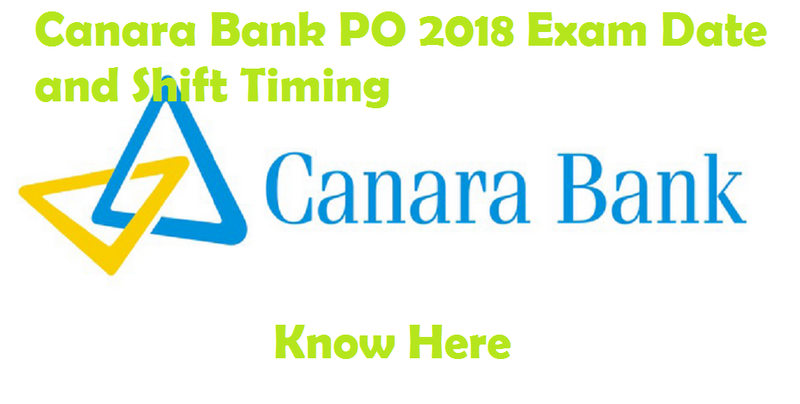 We are sharing Canara Bank PO 2018 Exam Date and Shift Timings. Dear Readers, We are sharing reference pdf link of one hundred Machine Input-Output Questions with Solutions for SBI Clerk 2018 Online Examination. Bihar Staff Selection Commission (BSSC) Chairman and senior IAS officer Sudhir Kumar has been arrested on Friday in connection with the alleged question paper leak in clerks recruitment exam. BSSC Secretary Parmeshwar Ram is already in custody in connection with the alleged leak. Insolvency and Bankruptcy Board of India (IBBI), is a statutory body established in accordance with the Insolvency and Bankruptcy Code, 2016 invites applications from Indian citizens for filling up the posts of Officer Grade A (Assistant Manager). Online Test will be conducted followed by Group Discussions and Interview. Dear Students, Punjab TET(Teachers Eligibility Test) 2018 Examination is over now, it was scheduled from 09:00am(reporting time). Now the students who took this examination , please share the review. 2. Subject-wise Difficulty Level of Question Paper. Dear Students, We are sharing Syndicate Bank PO 2018 Online Examination Analysis. First Slot of Syndicate Bank PO 2018 was scheduled from 08:00am(reporting time) and Second Slot of Syndicate Bank PO 2018 was scheduled from 12:30pm (reporting time). Overall Question Paper was of Moderate level. Dear Students, We are sharing AFCAT 2018 Detailed Exam Analysis. First Slot of AFCAT 2018 is conducted from from 09:00am to 11:00am and Second Slot of AFCAT 2018 is conducted from from 02:30pm to 04:30pm on 25th February 2018. Overall Question paper was of easy to moderate level. Questions of English Language was of moderate level, Questions of Quantitative Aptitude was of easy to moderate level. Questions of General Awareness was of easy to moderate level and also Questions of General Intelligence/Reasoning was of easy to moderate level. Dear Readers, we are sharing reference pdf link of more than two hundreds Sentence Fillers Problems with well Solutions for Bank Exams(IBPS PO, IBPS Clerk, IBPS SO , IBPS RRB, SBI Clerk and SBI PO) and SSC Exams(CGL, CHSL(10+2), MTS and CPO). Dear Students, we are sharing More Than 200 Simplifications and Approximations Questions with Solutions for SBI Clerk 2018 Prelims and Mains Online Examinations. Dear Students, Staff Selection Commission(SSC) will Re-Conduct Cancelled CGL Tier-II 2017(Paper-I(Quantitative Aptitude) and Paper-II(English Language)) Online Exams on 09th March 2018. The Commission had conducted Tier-II Examination of CGLE, 2017 from 17.2.2018 to 22.2.2018 across the country. On 21.2.2018, due to incomplete downloading of data on account of some technical reasons, the examination was delayed and candidates faced inconveniences. Dear Students, Staff Selection Commission(SSC) has published CLARIFICATION Notice for Multi-Tasking (Non-Technical) Staff Examination, 2016. We are sharing full circle reads of this notice released today on 24th February 2018. Dear Aspirants, We are going to share reference pdf link of around three hundreds and fifty Quadratic Equations Comparison Problems/Questions with Answers and Solutions/Explanations for SBI Clerk 2018. Dear Readers, We are sharing direct pdf file of more than one hundred Direct Inequalities Questions with answers and explanations as well as Coded Inequalities Problems with Solutions for SBI Clerk 2018. Dear Students, We are sharing AFCAT and EKT 2018 Exam Dates and Shift Timings. The AFCAT and EKT 2018 will be conducted in two shifts. Reporting Time for the 01st Shift of ACAT 2018 is 07:00am and Reporting Time for the 02nd Shift of ACAT 2018 is 12:30pm. State Bank of India(SBI) has released Pre-Training Call Letter for SBI Clerk Prelims 2018 Online Examination which is scheduled to be conducted in March/April 2018. Ministry of Railways have announced certain modifications in the conditions with respect to Age, Exam fee etc. Accordingly, the revised online application with the modified eligibility shall be made available for submission of application from 28.02.2018. The closing date for submission of online application shall stand extended to 31.03.2018. Dear Readers, We are sharing pdf link of more than hundred Average Questions with Answers and Explanations for SSC CHSL(10+2) 2017 Online Examination. Dear Readers, in this post we are sharing Exam Pattern and Updated Syllabus of SBI Clerk 2018 Online Examination. We are sharing Topics of GK(General Knowledge) / GA(General Awareness) / Banking Awareness, English language, Quantitative Aptitude/Numerical Ability, Reasoning Ability and Computer Knowledge/ Computer Aptitude Subjects. Dear Readers, We are sharing Free Study Materials for RAILWAY RRB ALP(ASSISTANT LOCO PILOT) & TECHNICIANS Online Examination 2018. In this Post, almost all topics Questions, Answers and Solutions in pdf format of all the subjects of RAILWAY RRB ALP(ASSISTANT LOCO PILOT) & TECHNICIANS Online Examination which will help you a lot in your preparation. 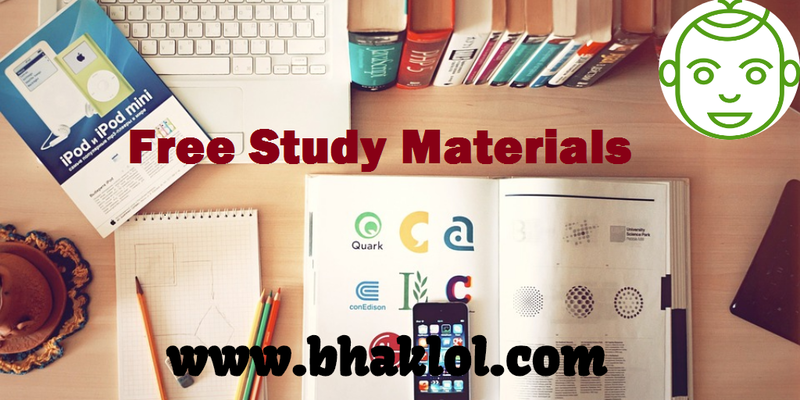 Dear Students, We are sharing Free Study Materials for Railway RRB GROUP-D Exam 2019. In this Post, almost all topics Questions, Answers and Solutions in pdf format of all the subjects of RRB GROUP-D Online Examination which will help you a lot in your preparation. 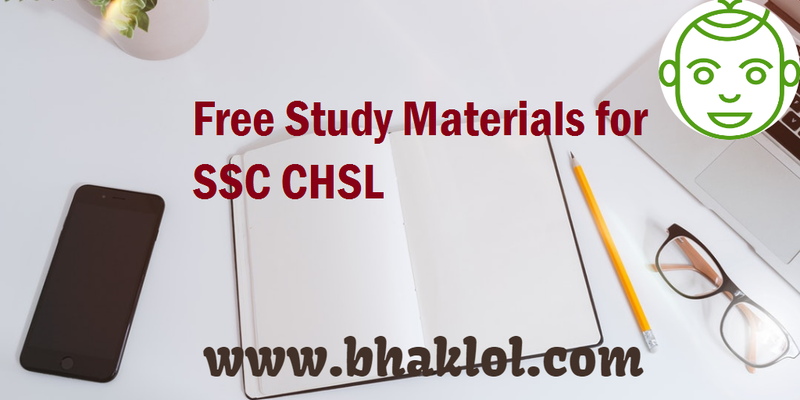 Dear Students, We are sharing Free Study Materials for SSC CHSL 2019. In this Post, almost all topics Questions, Answers and Solutions in pdf format of all the subjects of SSC CHSL 2019 Online Examination which will help you a lot in your preparation for SSC CHSL Online Examination 2019 preparation. Dear Students, We are sharing Free Study Materials for SBI Clerk 2019. In this Post, almost all topics Questions, Answers and Solutions in pdf format of all the subjects of SBI Clerk 2019 Online Examination which will help you a lot in your preparation for SBI Clerk Preliminary and Mains Online Examinations 2019. Dear Banking Aspirants, we are sharing around one hundred and fifty Probability Questions with Solutions for SBI Clerk 2018 Online Examination which is to be conducted in March/April 2018. RAILWAY RECRUITMENT BOARD, ALLAHABAD has released Result of Written Examination for Translation Test for the post of Jr. Translator (Hindi), Cat-4 of CEN 03/2014 & Jr. Translator (Rajbhasha), Cat-7 of notification of NCR for GDCE dated 25-10-2013. Dear Students, Staff Selection Commission(SSC) has released CGL Tier-ii 2017 (21 February 2018 and 23rd February 2018) Answer Key Leak Notice. The Staff Selection Commission has received a few screenshots in the afternoon of 23.2.2018 of Quantitative Ability (Paper-I) apparently taken on 21.2.2018 at around 12.30 PM belonging to a candidate namely Shri Sachin Chouhan (Roll No.2201281955). 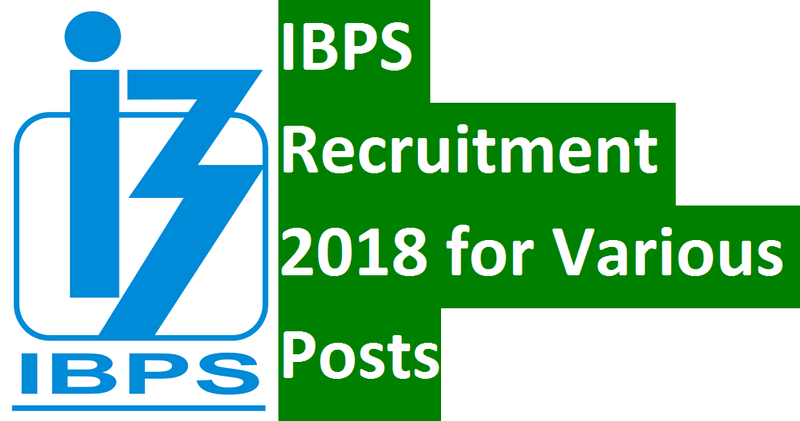 Dear Students, we are sharing direct pdf link of more than hundred Pipes and Cistern Questions with Explanations for SBI Clerk Prelims 2018 Online Examination. Each and Every Questions have been explained very well which you can understand in a second. Bihar Public Service Commission(BPSC) has released Results of 56th to 59th Common Combined Main (Written) Competitive Examination which was conducted in 2016(8th July to 30th July). Dear Students, around 10 to 12 questions come from General Science(GS-Physics + Chemistry + Biology) in SSC CHSL Online Examination, so we are sharing more than two fifty Objective General Science(GS) Questions with Answers for SSC CHSL 2017 Exam. Dear Readers, we are sharing reference pdf link of more than four thousands Reasoning Ability Questions with Answers and well Explanations for SBI Clerk 2018 Online Examination. Dear Readers, we are sharing pdf link of more than fifteen hundreds Number Series Questions with Answers and very good explanations for RRB ALP(Assistant Loco Pilot) and Technicians 2018 Online Examination. Dear Students, A very good news revealed today on 22nd February 2018 that there is no existence on ITI or NTC Qualification in the entire Railway RRB Group-D Recruitment 2018. Now 10th Pass Students can apply for all the Posts of Group-D. Application Fees also has been reduced, see the timelines of Railways Minister Piyush Goyal and also watch NDTV Prime Time by Ravish Kumar for more Clarification. Dear Aspirants, we are sharing pdf link of more than 3500 Error Detection / Spotting the errors Problems with Answers and Explanations for SSC CHSL 2017 Online Examination. The Institute of Company Secretaries of India (ICSI) has released ICSI Foundation Examination Result December 2017. Results can be download at icsi.examresults.net.